Rob Pipho, one of the most respected names in Jazz to come out of Detroit, has been playing professionally for almost 30 years. During that time, he has recorded with many well known artists, including: Pianist Kirk Lightsey, Violinist Regina Carter, Trumpeter Marcus Belgrave, Saxophonist Donald Walden, Saxophonist Wendell Harrison, Drummer Roy Brooks, Bassist Rodney Whitaker, Frank Zappa Bassist Ralphe Armstrong, Lenny Kravitz Drummer Cindy Blackman, Trombonist (& “shell” player in Saturday Night Live band) SteveTurre and many others…. In addition, he has performed live with all of the above artists, along with many others, including: Freddie Hubbard, James Carter, Rick Margitza, David Fathead Newman, Tim Ries, Ira Sullivan, Larry Fuller, Wynton Marsalis, Bob Hurst, Jeff Tain Watts, Geri Allen, Andrew Speight, Art Van Damme, Kariem Riggins, Ted Curson, Warren Chaisson and many others…. Rob is on the Music Faculty at Wayne State University. 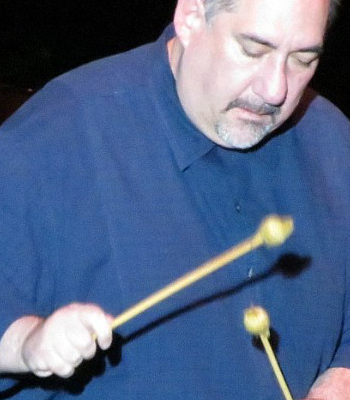 He plays vibraphone and piano, and teaches jazz theory, function and harmony to students of all instruments. He also writes music for industrial projects for clients ranging from radio stations to automobile companies. He plays Festivals and Concerts worldwide, as well as Corporate Events & Private Engagements. In addition, he has been providing entertainment booking services to the Metropolitan Detroit area for more than 15 years.